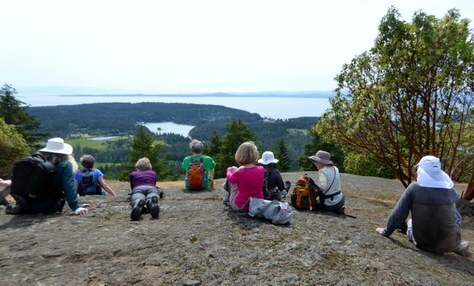 A group of 16 hike leaders led 33 hikes for 134 hikers to 29 islands to complete the Island Hike Series. It took four years and included thousands of laughs. 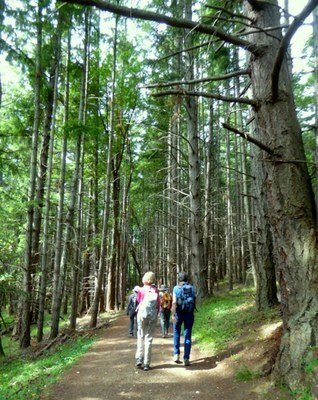 If you have been looking through our day hikes for the past few years, you've probably clicked on a hike that was part of the Island Hike Series. These trips varied in mileage and location, but were united by the common common theme of exploring new island trails (and having a ton of fun while doing so). 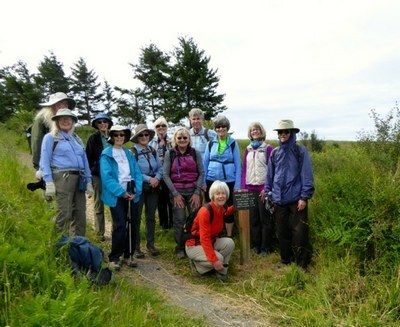 These trips were spearheaded by long time Mountaineers hike leaders Julie Miller and Kathy Biever. The trips focused on exploring trails and islands many native northwesterners haven't had a chance to try (or likely have never heard of). Julie and Kathey traveled rain or shine, and kept enthusiasm high with regular stops at cute coffee shops and ice cream stands. They also made a point to visit historical sites and cultural landmarks to get a real feel for the local flavor of each island. It took four years to complete the Island Hike Series, which included 33 hikes on 29 different islands. Julie and Kathy had over 130 participants involved, many members joining for multiple hikes. 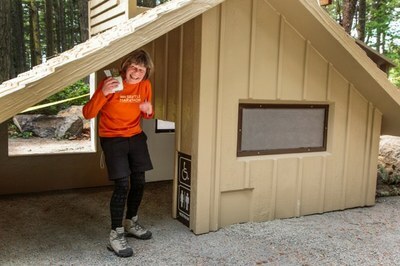 We want to thank and to congratulate Kathy and Julie on such a fantastic series of outings! See the full list of islands below. We hope you feel inspired to follow in their footsteps and if you do we'd like to encourage you to sign up as a participant in Our Park| Your Adventure challenge. This fundraising event is designed to inspire outdoor enthusiasts to take on exciting adventures in our National Parks and to celebrate the National Park Service's Centennial while raising funds to support our youth programs! Sign up to be an adventurer today or simply donate to another adventurer! 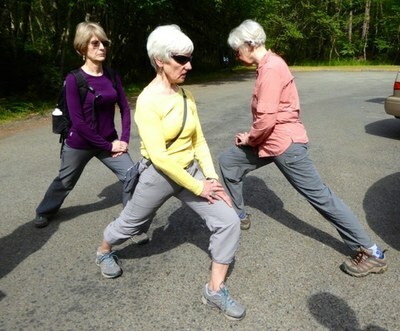 Here are some fun photos from their most recent hike on San Juan island.